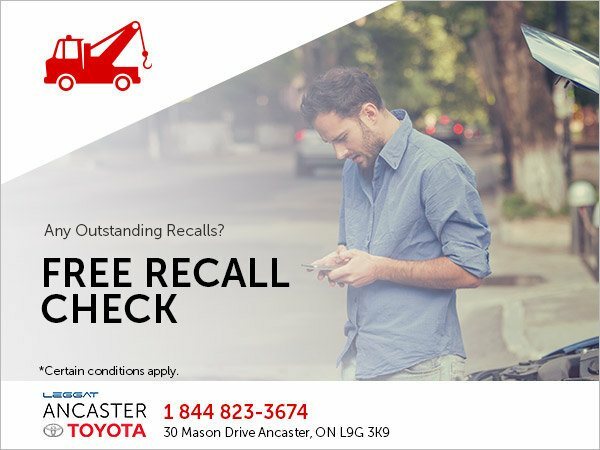 Free Recall Check @ Ancaster Toyota Ancaster Dealer ON. Keep your vehicle safe and running like it should. Enter your vehicle information today, and we’ll provide you with a free vehicle recall check today! Don’t delay — get peace of mind on the road today at Ancaster Toyota!